Oregano, native to the Mediterranean region, is the specialty of Kütaş. This wild-cropped herb with many species is blended together to make sophisticated quality oregano. Oregano derived its name from the Greek, meaning "Joy of the mountain". It is the most popular of the aromatic herbs as it can be used to season sauces for pasta, poultry, meat and fish as well as pizzas, salads, egg & cheese dishes. Available in graded leaf sizes or in ground form, with a strong aromatic flavour, Oregano is a most versatile and commonly used herb. The production is based on blending, physical celaning and size reduction. Laurel Leaves, also known as Bay Leaves, is the original product of Turkey. Laurel leaves are grown on trees or large bushes throughout Turkey along the coastal areas from the Russian to the Syrian border. Over 90% of the world's Laurel leaves originate from Turkey; Kütaş account for approximately 60% of all export and 80% of all Premium Hand Selected Laurel. Kütaş has been instrumental in introducing quality standards for the product, because the quality, sizes and the color of the levase can be subjective. This will enable buyers to specify the quality they need. Sage has proven to be as popular culinary uses as Oregano to flavour meat and poultry dishes, as well as salads, pickles, and cheese. 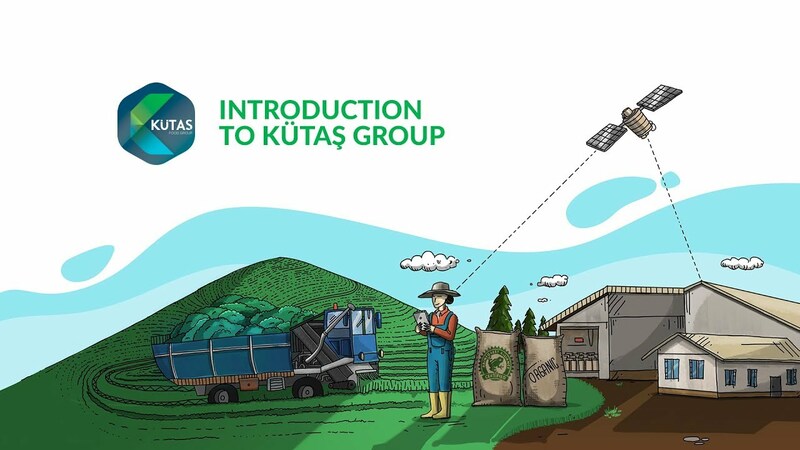 Kütaş is the largest global producer of Sage and it is a major export item to the world markets. Kütaş processes Turkish (Salvia triloba), Albanian/Dalmatian (Salvia officinalis). Turkish product is sourced from our traditional areas in countryside. Albanian/Dalmatian sage is collected via approved suppliers at origin who deliver the product to us under controlled conditions. Sage is available in whole, rubbed and ground form. The process is similar to Oregano and due to the refinement of our process, we are able to change this raw material into a very high quality, free flowing, clean product. Cumin is a flowering plant that has been grown as a spice since ancient times. Cumin is a member of Apiacea family and grown natively in Eastern Mediterranean and India. The part of the plant used in cooking, the seed is dried after picking and used either whole or ground into a fine powder. Cumin's distinctive flavour and strong warm aroma is due to its essential oil content. Cumin is grown from seed, cultivation of cumin requires a long hot summer of 3-4 months. The plants bloom in June and July. Coriander is native to regins spanning from Southern Europe and North Africa to Southwestern Asia. It is a soft, hairless plant. All parts of the plant are edible, but the fresh leaves and dried seeds are the parts most traditionally used in cooking. Coriander leaves, known as cilantro, resemble flat-leafed parsley.